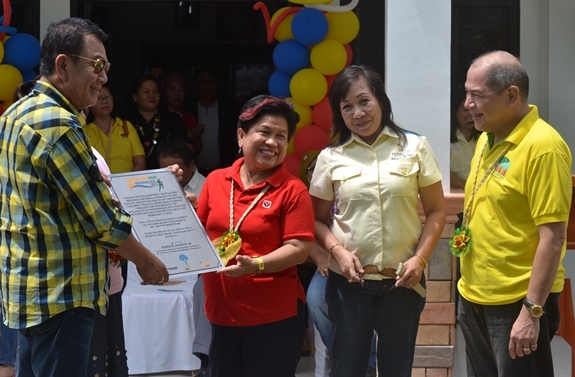 DSWD Secretary Corazon “Dinky” J. Soliman thanked PhilHealth for its child-caring efforts and for donating part of the proceeds of PhilHealth-DOH Run 2013: The Nationwide Run for Mother and Children Protection to the Reception and Study Center for Children (RSCC). In the inauguration and turn-over ceremony held recently at RSCC in Brgy. Maibu, Tantangan, South Cotabato, Sec. Soliman stressed that “ang pagpapalaki ng bata, lalong-lalo na ang bata na naiwanan, ang bata na naabandona, ang bata na walang kumakalinga ay hindi isa, dalawa o tatlong tao lang o kami sa DSWD lang. Tayo pong lahat ay may responsibilidad na tulungan sila sapagkat sila ang kinabukasan ng ating bayan” (child caring especially that of abandoned, surrendered and neglected children is not just a responsibility of one, two or three individuals or solely that of DSWD. We all have the responsibility to help these children because they are the future of our country). “Ituloy po natin ang ating pakikiisa para sa ikauunlad ng mga batang ito” (let us continue our unity for the betterment of these children), she added. At the moment, RSCC is caring for 17 abandoned, neglected and children with special needs. 7 of the children are enrolled at Koronadal Central Elementary School-I under the Special Education Program for Mentally Challenged. PhilHealth Board Member representing the Labor Sector Alexander A. Ayco, MD thanked DSWD Field Office XII Regional Director Bai Zorahayda T. Taha for “requesting PhilHealth to donate to this Center” and added that “seeing all these abandoned children makes us glad to be giving support to them”. Sec. Soliman awarded PhilHealth a Plaque of Appreciation in recognition of its efforts to provide a child-caring environment, for the protection and promotion of the rights and welfare of the dependent, abandoned, surrendered and neglected children and those with special needs by choosing RSCC as the local beneficiary of PhilHealth-DOH Run 2013. 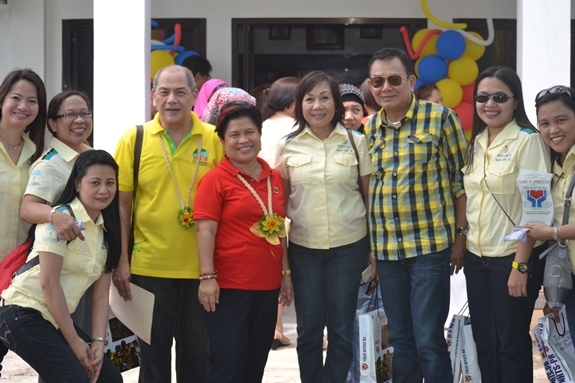 Total cost of various office equipments, vehicle and resource materials donated to RSCC was Php806, 074.68.